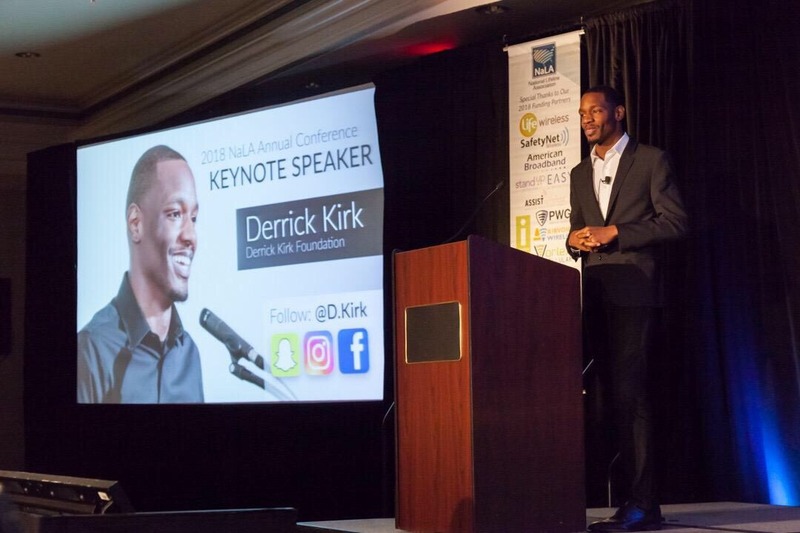 The mission of the Derrick Kirk Foundation is to help set underprivileged and undeserved youth on a path to success. Derrick believes that when the impact of misfortune is lessened, youth are better able to focus on achieving their goals. The Foundation embodies his objective to help level the playing field and allow these youth to feel good about themselves, as well as their chances in life, by offering the following programs. Derrick Kirk is a successful entrepreneur who has overcome many obstacles while faced with the direst of circumstances. Through personal experience and knowledge obtained along his unique journey, he offers the tools to help others get started or keep going in pursuit of the life that they imagine. Derrick is a candid motivational speaker, a walking success-story, and an ally to the unaided. This results in powerful and inspiring messages that are relatable to a diverse range of people. These days I’ve been investing, mostly in the dreams of others. Literally and figuratively, I am a hope dealer. The best part about that is, business is always booming. I’ve taken more losses in life than I should have been able to afford. I’ve been abandoned both personally and professionally – left to fend for myself and do the work that normally takes a village, all on my own. Now I see, I AM the village. My challenges began very early in life and continued throughout. But I learned that sometimes a wrong turn actually sets you on the right path. For a myriad of reasons, growing up in an orphanage was the best thing that ever happened to me. I have since gone on to obtain a higher education degree, climb the corporate ladder at a thriving real estate firm, as well as build, develop and sell a lucrative business. I love being an entrepreneur, and establishing a successful company was a great achievement in my life. Yet, selling my business opened the door for me to pursue other endeavors – and my mission has never been so clear. I want to help you become your own village. Because many will run to be by your side once you’ve “made it,” but few are as eager or available to assist you in getting there. I didn’t let that stop me. Don’t let it stop you.